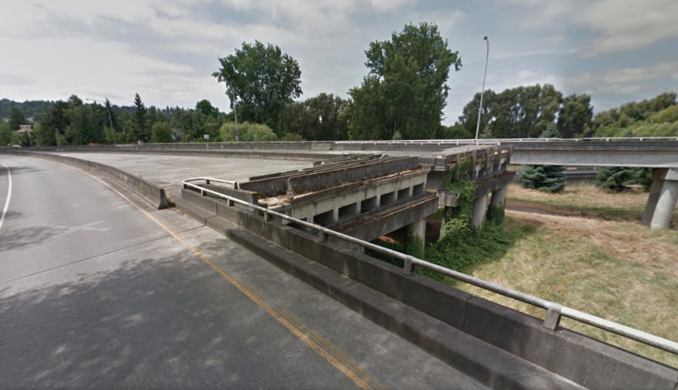 In the ’60s, activists in Seattle fought to prevent these highway on-ramps from being finished. Now, activists fight to prevent the unfinished ramps from being demolished. A Boeing mechanic and his wife leave a whimsical, stone sculptured garden as their legacy. The ramps were proposed as part of the 1960s plan to connect Highway 520 to the R. H. Thomson Expressway. The new highway would have cut through the Washington Park Arboretum, and required the demolition of homes in a predominantly black community. People came from all corners to stop it. The communities whose homes were in danger spread the word, and were joined by students and faculty from the nearby University of Washington, urban-design advocates, and even the Black Panther Party. Slowly but surely, the project was quashed by the activists, and the ramps were left unfinished. 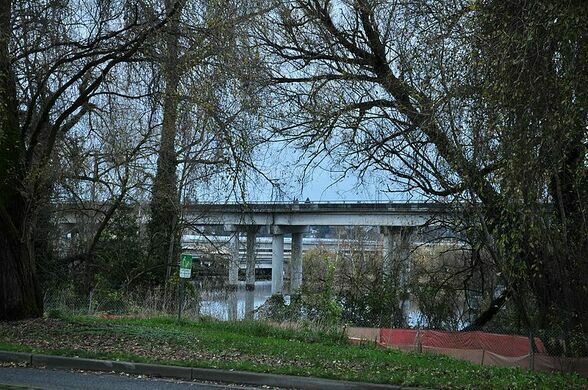 Over the past 50 years, the pillars holding up the ramps have become pillars of the community. 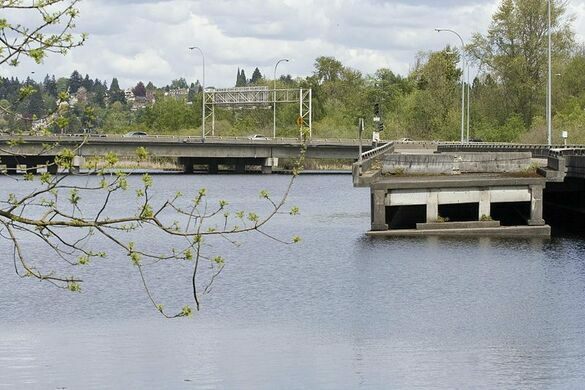 Young people have made a rite of passage out of jumping into Union Bay from the ramps (though the water is dangerously shallow), and the ramps to nowhere have been used for everything from sunbathing to stargazing. 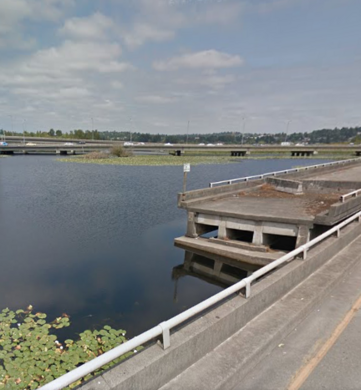 As of 2017, the Washington State Department of Transportation is replacing Highway 520, and plans to demolish the ramps to nowhere and install in their place a plaque to commemorate the citizen revolt that halted construction all those years ago. The group Seattle ARCH (Activists Remembered, Celebrated and Honored) is working to preserve a section of the ramps to nowhere as a grander tribute to the power of participation in the democratic process. But concerns over the cost of maintaining a permanent urban ruin so large, its safety and its presence in an area otherwise devoted to nature, keep the fate of the ramps in limbo.